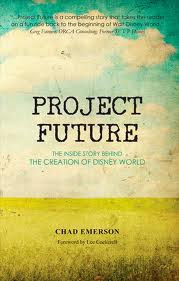 Project Future: The Inside Story Behind the Creation of Disney World by Chad Denver Emerson tells the story of how Project Future, an idea for a East coast Disney parks, was developed and became reality. Emerson details Walt Disney’s quest to expand on his success at Disneyland to create a larger more controlled experience elsewhere. Project Future carefully tracks the efforts to determine the future location of what would become the Walt Disney World Resort, the acquisition of the land desired for Disney’s massive project, the planning for land use and finally the completion of stage one by Roy O. Disney after Walt Disney’s Death. The book especially focuses on the legal and political hurdles the Walt Disney Company had to navigate to control and develop their Florida property to opening day. This is a well researched and written book. Emerson’s legal knowledge including Florida statutes brings a new dimension to the story of Walt Disney World. He goes beyond the Disney search for a new location and authoritatively explains the legal code that Disney had to navigate in order to reach. Once the reader sees all that legally had to be cleared before the Walt Disney Company could control their 47 square miles, the story becomes infinitely more complicated than a real estate purchase. Adding to this complexity is the lengths that Disney took to create an improvement district and 2 municipalities to provide governance and infrastructure for their property. And of course most readers will enjoy reading the cloak and dagger efforts taken to keep their land acquisition in Florida secret while uniting the diversely owned land parcels. This is an enjoyable book. It is filled with legal phrases and legislation. However, it is presented in such a way that the casual reader can understand. Personally, I unexpectedly found myself learning about Florida statutes on municipalities and improvement districts. This book is an essential for Disney history enthusiasts as it clearly demonstrates the complicated story of creating Walt Disney World. “Any descriptions of illegal activities in the book are intended purely for educational or entertainment purposes.” states the copyright page of Leonard Kinsey’s The Dark Side of Disney: The Anarchist Cookbook of Disney Travel Guides before you even reach the introduction. 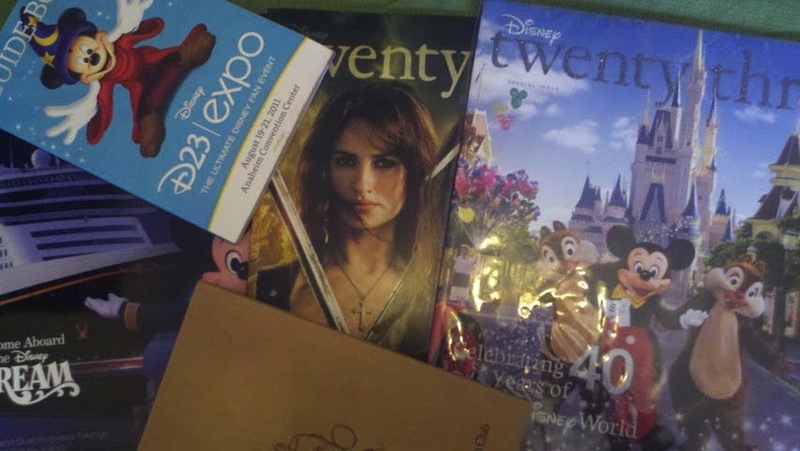 Kinsey then proceeds to give his readers a mix of travel tips ranging from the traditional suggestions on where to stay on a Walt Disney World Resort vacation, to finding good music to nontraditional tips on using drugs while in the parks. The tips and scams are followed by three tales of unauthorized adventures within the parks and what the adventurers saw and learned about what they explored. First and foremost this is a Walt Disney World Resort guidebook. And there is a lot of advice you may not read elsewhere. Kinsey’s arguments for not renting a car (let Disney do the driving for you) and staying on property in many aspects sound like advice that I have given. If it’s not on Disney transportation I’m probably not going there. He covers the basics on how to get there, where to stay and what you are likely to find in the parks. If you could cover up the book cover (which fits the mood of the book) and took out several pages, I would feel very comfortable handing the book to my mother in law under the cover of good vacation advice. 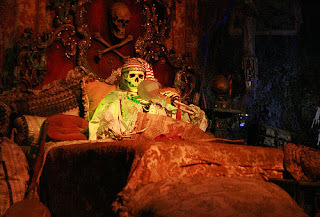 But there is content in the Dark Side of Disney that I will not need for my next visit to the Walt Disney World Resort. There are activities in this book that I simply cannot do with kids. I don’t need information about narcotics for example. Some readers may find this content offensive, and I believe that Kinsey would argue if you are easily offended, don’t read his book. No really, there are other guide books that you are likely to enjoy instead like The Unofficial Guide to the Walt Disney World or Mousejunkies! But even if you are not planning on participating in some of the activities Kinsey discusses you can still find much of it useful. For example, I found his discussion on ticket resells and legality one of the best summaries of this issue I have seen. The information he presented would have been really useful to me recently for friends who asked about “cheap tickets.” And many of his scams, are less scams but how message boards and eBay can be your friend for saving on your vacation. And Kinsey’s anecdotes about some of the unauthorized activities in the Walt Disney World Resort are as much warnings as to the natural consequences of those activities and not specifically advocating those activities. Let’s just say I will not ignore “Do Not Swim” signs after reading about naegleria fowleri. Another topic I have only seen addressed fully in this guidebook. Leonard, can I call you Leonard, you have me terrified! And as a dad I’m glad you have! Kids….no swimming in that lake! Kinsey also provides information about nontraditional activities in the parks but constantly reminds his readers to not ruin the experience for other guests. As the disclaimer says, much of this content is for entertainment purposes and it is entertaining. For me what I looked forward to most was stories, stories of young people doing things they really should not do and the outcome of those adventures. Kinsey uses some of these stories to reinforce his tips and information around unauthorized scams and activities. His use of a story detailing the outcomes of gate jumping for example was very convincing. I have no plans to jump the gate. Most of these tales come in the last third of the book where Kinsey documents three sets of unauthorized adventures, one his and two from others. Kinsey’s story details his adventures through the Magic Kingdom Park’s Utilidors. The documented adventures help lift the mystery of the contents of these hidden subterranean corridors. And they also reinforce that the security at your own job site at the time of his wanderings was probably better than Disney’s. I found myself applauding his guts; it really does seem if you act like you should be there no one will question you. The adventures of others to Discovery Island and behind the scenes in the extinct Horizons are also enjoyable. Overall, I was highly entertained by The Dark Side of Disney even if I do not plan to participate in all the described activities. I have talked to two buddies already who attempted to guess the Kinsey’s top five rides to get high on and those not to, they do much better with the no list! Some however may be easily offended by the content and if you find the cover questionable you would probably do best to walk away from this book. However, if you want to dip your toes into this guide without being daring enough to purchase this paperback there is a very affordable E-Book version that you may want to consider. Be it an electronic version or the traditional book even if you never take any of Kinsey’s instruction you’re going to laugh. Often I have wondered what the Walt Disney World Resort would have looked like if Walt Disney had lived to see his last dream come to completion. I am sure that many of you have wondered the same thing. 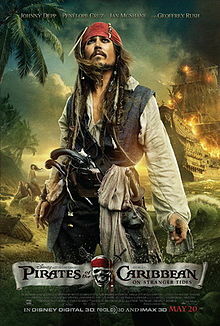 Walt Disney’s hopes for his Florida property were for so much more than a theme park; after all he did not do sequels. The Walt Disney World Resort we have today is more than a clone of the Disneyland that opened in 1955 due to lessons learned from the California park, but it is still only a shadow of what Walt Disney dreamed. Sam Gennawey of the SamLand blog provides his insight as an urban planner to detail Walt Disney’s dreams for his Florida project, its evolution and its development in Walt and the Promise of Progress City. Gennawey introduces his readers to concepts used by urban planners when developing an area, often referring to specific examples within the Disneyland Resort to demonstrate them in action. This is followed by a detailed examination of Walt Disney’s own property development projects including the Burbank studio, Disney’s Carolwood Drive home, Disneyland, the failed Mineral King development, and finally the Florida project. This historical journey makes it clear that Disney’s projects were becoming more complex and that Disney’s true interest in building in Florida was not another theme park, since he had already built one, but the development of a working city that could demonstrate solutions to the problems of urban living through the use of technology. Genneway then walks his readers through the EPCOT of 1982 that might have been, Walt Disney’s Experimental Prototype Community of Tomorrow, not the Epcot theme park that we have today. Instead this EPCOT is a functioning city with shopping, recreational areas (including a theme park), residential areas and even a theme park much like seen in the Progress City model found in the exit of the Carousel of Progress at Disneyland during Gennawey’s childhood. Gennawey concludes his book with a brief answer to if Disney’s plans would have worked. This book is full of the language of the urban planner. And though that could be seen as a drawback, I believe it is a benefit. I do not have a background in planning cities, I am not aware of the vocabulary that urban planners use and I’m definitely not aware of historic urban planning thinkers. Typically when I read a Disney book I learn a few facts that I have never been aware of before, but honestly many Disney books revisit the same material. Instead with Walt and the Promise of Progress City I learned about the world of the urban planner and because of this I was finding myself having conversations using this new vocabulary. And I was able to understand it because of the Disney linkages Gennawey provides his reader. Instead of being intimidated by these new concepts I was learning about them since he presents them in terms I can understand. Concepts like “The Quality Without a Name” can be easily understood when demonstrated in action within the Disney parks. As a historian I truly enjoyed Gennawey’s presentation of Walt Disney’s evolution of building bigger and bigger projects eventually arriving at his dream of EPCOT, an entirely new city within the Disney Florida property. By linking together the various building projects that Disney oversaw, the reader can see Disney’s desire for the inclusion of new technologies and improving the quality of life even if it was just an animator’s desk for his Burbank Studio. Additionally, I found his discussion of the Mineral King project fresh and filled with possibilities of what could have been if the property had followed Walt Disney’s designs. It is also clear that urban planners like Victor Gruen who were foremost thinkers in the city planning were influencing Disney’s thoughts on cities. But Genneway makes it clear that Disney was not attempting to innovate new ideas about cities but to use the best thinking and technology to create spaces that people could truly use and enjoy. Disney’s dream was gift humanity with a model of better ways to live and solve urban problems, not just an enjoyable family vacation. Genneway’s visit to the EPCOT 1982 is inspiring. First, it is not a theme park, but is instead a place where people live and work. Theme parks and hotels do not dominate this space. Instead it is a city with shopping, residential housing, schools, greenbelts, and yes that moneymaking theme park. Most surprising to me was the industrial park where companies would display the latest technology and processes. Though this EPCOT looks different than what we have today, it still includes shopping, hotels, and green spaces that exist today. While Walt’s dream of a city is clearly not fully achieved by the current profile of the Walt Disney World Resort, it is amazing how much of the plans for a full city exist. For example as Genneway discusses the reading for the shopping district to be an attraction on its own right, I thought my families inclusion of Downtown Disney alongside the parks as part of our vacation planning. If I could change one thing about Walt and the Promise of Progress City, it would be the inclusion of an index. There is so much good information about Walt Disney, the Disneyland Resort, the Walt Disney World Resort and urban planning, many readers will likely dog their copy with notes and highlighting and be used as a constant reference for what will have been. This text is an essential for any good Disney library due to its content. Interest for this book also can be found beyond Disney fans, I have friends who are not Disney enthusiasts asking to borrow my copy due to the historical content out of their own general interest. 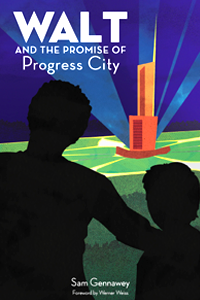 Sam Genneway in Walt and the Promise of Progress City offers a well-written, highly educational and highly interesting book that fans and non-fans of the Walt Disney World Resort will enjoy. Several years ago the Between family was planning for a Walt Disney World vacation, one in which we were planning for a toddler and trying to find some new experiences that we had not had in our trip a few years before. I had heard of Celebrations magazine through Lou Mongello’s WDW Radio podcast. My wife suggested I order a copy online since it would likely have information about future events, recent park changes and maybe some planning tips that we had not considered. I love to read, so the suggestion sounded good and I ordered the latest copy of the magazine. About a week later I got the copy and I was hooked. What I found was all that we expected and more. I have a history background and I found articles providing historical information about Walt Disney World. It also contained behind the scenes information about the attractions and hotels. There was even information relevant for traveling with kids. Before I finished reading the issue, I had ordered the other available back issues and ordered a subscription. 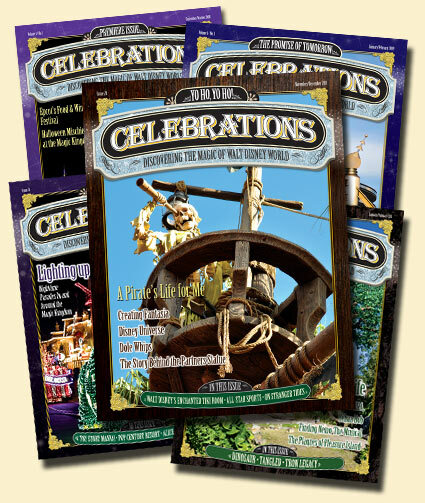 I’m happy to say that today I have a full collection of Celebrations due to some timely reprints and beginning my subscription in the first year. Yeah, I was hooked and to be honest it really helped me past my future vacation because it delivered me regular Walt Disney World information straight to my mailbox. Around a year later I saw publishers Tim Foster and Lou Mongello ask listeners for ideas for future stories. Now I had ideas, but they were ideas tied to another future vacation and I really would have loved to get one of the magazine’s contributors to chime in on my questions. I got a response from Tim thanking me for my ideas, explaining kindly why my questions currently did not fit in their plans, and letting me know if I had any additional ideas of what I wanted to write on to send them to him. Then it hit me. Living out in Between Disney I was actually seen as someone who might not only provide a suggestion but maybe write an article on Walt Disney World. Several months later I had just finished a book. A book that left me with a pretty fun question that I wanted more of an excuse to explore. So, I sent the idea to Tim, and was quickly told that would be a fabulous idea for an article. I have to be honest; I had so much fun as I researched my new little project. I loved every minute of this project and was a little sad when I had given the final submission to Tim. But, luckily that project led to another idea which Tim also liked so I pretty quickly was able to start again and again, it was so fun writing this new Disney project. I admit it I was addicted, which is part of the reason I even started this blog. I really helped to lower my stress level and make me a more fun person to be around. Later I asked my wife for ideas, after all she was where this little adventure again. She suggested Dole Whip, as this tasty treat is something that the Between family enjoys together. As she says, a day in the Magic Kingdom or Disneyland Park without a Dole Whip is a wasted day. I submitted this idea to Tim. His reaction was it would be great if possible but was it doable? Now when I was in high school I was told by an English teacher that a creative writing paper I was writing about a purple cow was a sponge in the ocean, which led me to make it work. So with this determination again, I found all I could about Dole Whip trying to figure out how to get content on paper. In the end, I pulled it off. It is not the longest article, but it did present everything I could find about Dole Whip and its history. And it was so so fun. I was thrilled when it arrived in my mailbox as my first published Disney article. So what did I learn about all this experience? First, your geography does not matter. If I am lucky I get to the parks once every 12 to 14 months, if I am lucky. So it’s not like I can access the parks whenever I want. That does have certain disadvantages. For the Dole Whip article I was not able to provide any of the photos. Instead the editors sent someone who had access to get pictures to support the text. Sadly for me, they probably got to eat those Dole Whips too. In fact it was kind of fun with my limitations. At one point on New Year’s Eve I had friends searching the windows on Main Street U.S.A trying to uncover one small piece of information. If you have a Disney dream, you can probably find a channel for it out here Between Disney. Second, you can become the expert. I’m pretty sure that I found pieces of information about Dole Whip that were not widely available. In fact Precision Foods staff reviewed my article and said they did not realize the fuller background on Dole Foods Inc. Even if you feel like you are not the expert, which you can feel living away from the parks, you can through research and hard work smarten yourself up. So you should never feel like you cannot do something because you do not have the expertise, instead go get the expertise. Third, following a dream is fun. Writing about Dole Whip was never ever a chore. On another future project I spent my lunches in a local library with a book not available for circulation. That was never a hardship; in fact it became the highlight of my workday. 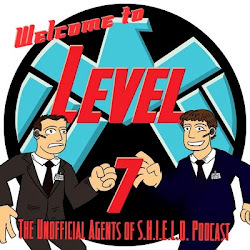 In the end I have to thank Tim and Lou for giving the opportunity for me to contribute to the Disney community on a topic that I love, Dole Whip. Lou often encourages listeners of his podcast to follow their dream as he has his own. In the end my Celebration experience was highly satisfying because it is true, following a dream feels great. Now the question is what’s next?